Mirablau's panoramic view of the city is stunning, and few other places offer a similar prime vantage point to take it all in. This place, often overlooked on a tourist's agenda due to its rather out of reach location, is a gem sitting pretty at the rim of Tibadao Hill. 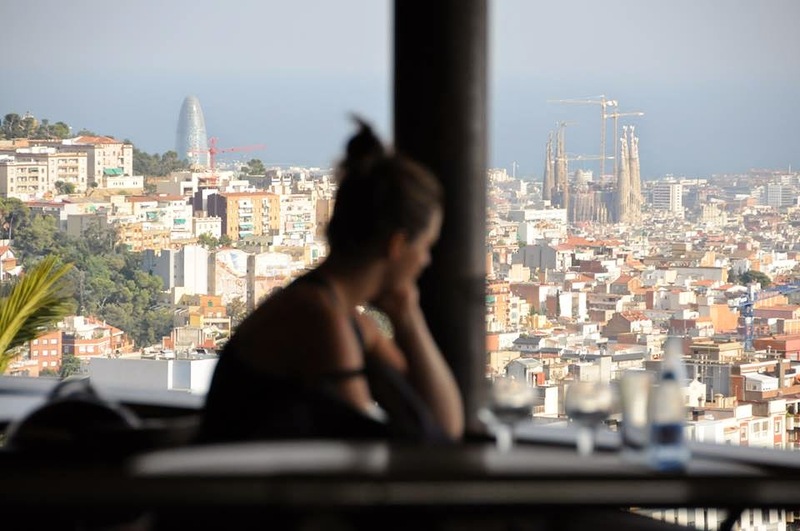 Mirablau - with over 25 years of existence - is a haven for those eager to escape the hustle and bustle of Barcelona's dynamic city center. It's a place to sit for long leasurely hours with a drink in hand gazing below at the vast city, soaking up all its glory. Besides being a restaurant and bar it also houses a club on the floor below that plays anything from House music to 70`s Funk. The good thing is that it never closes. That's right, it opens daily from 11.00 am to 3.30 am and to 6.00 am on Fridays and Saturdays. And you will be surprised that the place attracts people every night - mostly the faithful, local, upper-class clientele that live in the hills of Barcelona. But you will also find tourists and you will certainly find everyone having a good time. This place is most definitely worth a visit for those that want to appreciate the city from a unique perspective - day or night.